Classy Event Organizer: How Late is Fashionably Late? It's something we all have said or done at one time or another, but what exactly is it? And how does a Hostess see this phenomenon? What exactly is "Fashionably Late"? There are many articles and online postings about what "Fashionably Late" is. Infact Ehow.com has a "How-To" about being fashionably late. After reading that article you find that being fashionably late is more of an art rather than just not wanting to be the first one at a party. Also if you are a fan of Yahoo Answers, this question comes up very frequently with many different ideas on what is acceptable and what is just down right rude. Yahoo Answers averages from about 5 to 10 minutes late, with 20 minutes or more beign rude. However there are a few Yahoo Answer entries that say with today's technology (cell phones, smart phone, facebook) there isn't a good reason to be "late" at all. Why do we participate in being Fashionably Late? As I said before, we've all been guilty of being "fashionably late" at least once in our lives (and if you haven't I'm sure you've seen or heard about someone doing it). However, why do we do this? Sometimes it's because we don't want to be the first person at a party (perhaps because we don't quite know the hostess all THAT well). Or maybe its because we want to "make an entrance" at the party and be the center of attention for a while. Or is it that we want to make it seem like we have more going on in our lives compared to everyone else. I know I have been fashionably late one or two times my self (usualy because I don't know the hostess all THAT well and I don't want to awkwardly stand around by myself) but I also have been a "victim" of the fashionably late guest. From the other side, (the side of the hostess) guests that are "fashionably late" can be very annoying (especially when EVERYONE wants to be fashionably late). Perhaps its not as aggrivating when you are having an open house type of party, but at a dinner party or party with some sort of schedule or itinerary, it is hard to deal with a lack of guests who are 5 to 10 minutes late. As a hostess, there are a few things you can do to combar a guest or guests who are going to be arriving late due to whatever reason. First, make sure to put a start time on the invitation and include a schedule if you have one to stick too. 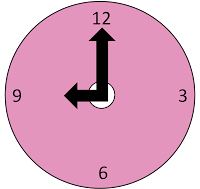 For example if you are having a dinner party with a cocktail hour and dinner put both times on the invitation so that a guest will know when dinner will start and hopefully come in time for at least the sit down part of the party. Second, plan ahead if you think guests will show up late. If you want to plan a dinner, invite people over earlier than you normally would and hope that the stragelers would arrive by the time you would like. Third, come to terms with the fact that some guests are always going to be fashionably late no matter what and go with the flow! Have you ever been fashionably late to an event or gathering? Why were you late? Have you ever had guests be fashionably late and ruin your party? Or do you have any good ideas on how to combat those who are fashionably late? Please share your "Fashionably Late" experiences! !